Since 2014, Trafikverket has been working to reduce the number of wildlife accidents and achieve higher road safety on road 27. Now the project is in its final stage and Pontarius assists with follow-up of the construction site! Road 27 stretches from Gothenburg in the west to Karlskrona in the south and passes Borås, Svenljunga and Tranemo municipality in Västra Götaland County. It has both an important regional and national function as it is a part of the EU-project Southeast Baltic Transport, which aims to improve communication between the Baltic countries, Poland and Sweden. The road’s heavy traffic and relative lack of protective measures entail a high risk of wildlife accidents. The aim of the project is therefore to increase the safety and accessibility for both humans and the neighboring fauna. The traffic intensity, in combination with the high speed of the vehicles, causes road 27 to fall within the frame of Trafikverket’s assessment of which roads are in most need of wildlife fences. An important part of the project has thus been to build these fences at the part of the road that runs between Svenljunga and Borås. 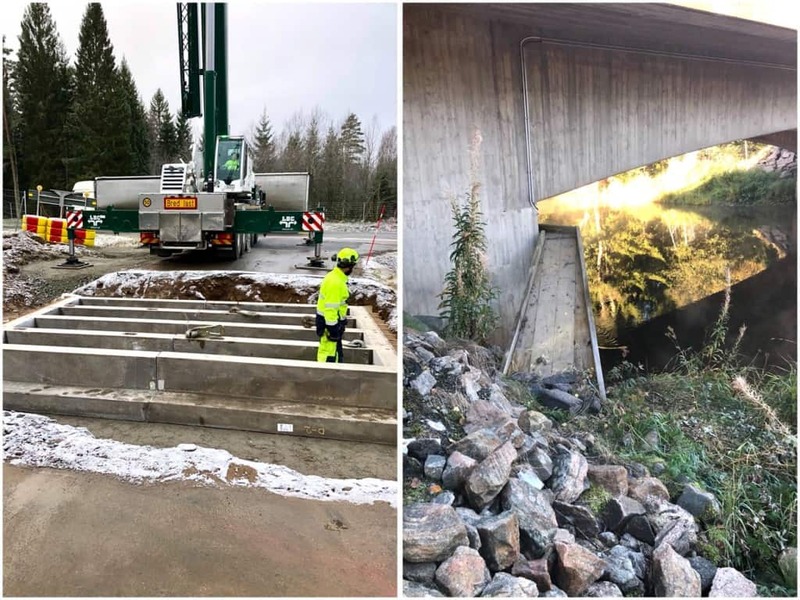 The project has also included the construction of two wildlife take-offs, three cattle grids and an otter passage under the bridge along Ätran. One of the highlights of the project occurred last Friday when the largest of the three cattle grids was installed using a large mobile crane. The final inspection will take place in early December, and it has been a very exciting and interesting project that has involved several more unusual elements for Pontarius as a consulting firm. One of the most unique parts is probably the performed preparations for the construction of the wildlife warning system scheduled to be installed in 2019. The device can be described as a passage where there, instead of wildlife fences, will be motion detectors which warns drivers when animals are about to pass. We are very happy to be part of exciting, innovative projects that also aim to protect both humans and animals!